Strength is an attribute that cannot be significantly improved through the practice of participating in Combat Sports, therefore it makes strength training a wise investment, particularly if you want to win. The purpose of increasing strength is to develop physical capacities necessary to handle the unpredictable nature and stressors of the sport. Athletes need to be prepared for all aspects of physical combat including punching, kicking, takedowns, takedown defense, arm bars, guillotine, grappling, and clinching, not to mention proper conditioning and muscle endurance. A simpler way to say it would be, to achieve victory an athlete needs to be faster, more explosive and last longer than their opponent. Also, let me make it clear before I go any further, strength does not replace technique — wrestlers should prioritize wrestling, just as martial artists should ultimately work to perfect their discipline — but improving strength will transfer to better technical performance (e.g., technique) on the mat or in the cage. 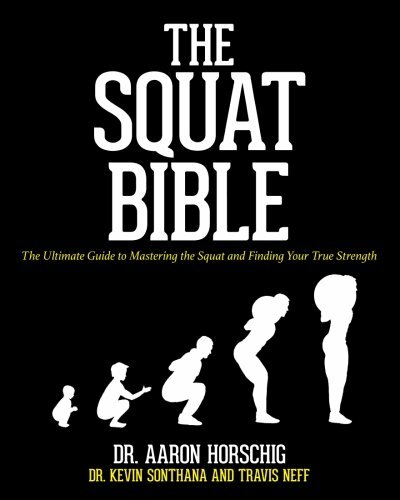 Are deep squats bad for my knees? The prevailing wisdom on this topic would lead you to believe that squatting below parallel will cause injury to your knees by placing an unusual strain on your ligaments leaving the knee unstable and prone to injury. This theory was brought to light in the late 1950’s when Dr. Karl Klein was trying to understand why there happened to be a rise in the number of colligate football players sustaining serious knee injuries. He suspected it was due to the use of full ROM squats in university strength programs so he crafted a special instrument to analyze the knees of several of these football players who frequently performed deep squats. In 1961, Dr. Klein released his findings, which recommended the squat be limited to a parallel depth. His reasoning stated that the use of deep squatting is detrimental to athletic development and “should be discouraged from the standpoint of its debilitative effect on the ligamental structures of the knee.” The following year, Dr. Klein’s findings were picked up by Sports Illustrated which became the catalyst to spread the fear of deep squatting. Next the American Medical Association weighed in on the topic cautioning against the use of deep squatting. It went so far as the Marine Corps even eliminated the squat-jumper exercise from its physical conditioning programs. There has been a lot of pushback on this theory ever since its inception almost 60 years ago. Dr. Klein’s findings have failed clinical replication, even with the use of his special instrument. Fortunately, now in the present day we can use the advancement in exercise science and biomechanics research to settle this debate once and for all. When we squat, our knee sustains two inversely related forces – shear and compressive – meaning that when the knee flexes during the squat, compressive forces increase while shear forces decrease. These shear forces are measured by how much our bones – femur and tibia – want to slide over one another in opposite directions. These forces challenge the small ligaments of ACL and PCL to hold our knees together and limited excessive forward and backward movement. In contrast, compressive force is determined by the amount of pressure the body is pushing on two parts. There are two areas that sustain this compressive force; 1) the meniscus as it absorbs the opposing stress between the tibia and the femur, and 2) the backside of the patella (kneecap) as pressure increases through the descent of a squat. Science tells us that the ligaments inside our knees are under very little stress at the bottom of a squat due to the mechanics of this inverse relationship. Harmful shear forces are dramatically decreased due to an increase in compression and it seems that the deeper we squat the safer it is on the ligaments of the knee. The most well-known ligament, the ACL (Anterior Cruciate Ligament), is under little stress in the bottom of a squat. In fact the stress to the ACL during a squat is actually highest during the first four inches of the squat decent (around 15-30° of knee flexion)* and continues to decrease the deeper the descent. The lesser known ligament, the PCL (Posterior Cruciate Ligament) sustains it’s max forces just above a parallel squat (around 90° of knee flexion). It seems that Dr. Klein’s detrimental claims of the deep squat stretching out our ligaments, ultimately leaving them unstable is but a myth that just wont die. Science has since shown repeatedly that squatting deep may have a protective effect on our knees by increasing stability. In 1986, researchers compared knee stability among powerlifters, basketball players and runners. After a heavy squat workout, the powerlifters actually had more stability in their knees than did the basketball players did. In 1989, another group of researchers were able to show that competitive weightlifters and powerlifters had knee ligaments that were less lax than those who never squatted. The prevailing research continues to show that the deep squat is a sage exercise to include in a healthy athlete’s training program. 1. Poor Frontal Plane Stability at the Hips: Frontal plane stability in the lower body is dependent on the interaction of several muscle groups, most notably the three gluteals, tensor fascia latae (TFL), adductors, and quadratus lumborum (QL). This weakness is particularly evident when an athlete performs a single-leg excursion and the knee falls excessively inward or (less commonly) outward. Generally speaking, weakness of the hip abductors – most notably the gluteus medius and minimus – is the primary culprit when it comes to the knee falling medially, as the adductors, QL, and TFL tend to be overactive. However, lateral deviation of the femur and knee is quite common in skating athletes, as they tend to be very abductor dominant and more susceptible to adductor strains as a result. In both cases, closed-chain exercises to stress the hip abductors or adductors are warranted; in other words, keep your athletes off those sissy obstetrician machines, as they lead to a host of dysfunction that’s far worse that the weakness the athlete already demonstrates! For the abductors, I prefer mini-band sidesteps and body weight box squats with the mini-band wrapped around the knees. For the adductors, you’ll have a hard time topping lunges to different angles, sumo deadlifts, wide-stance pull-throughs, and Bulgarian squats. 2. Weak Posterior Chain: Big, fluffy bodybuilder quads might be all well and good if you’re into getting all oiled up and “competing” in posing trunks, but the fact of the matter is that the quadriceps take a back seat to the posterior chain (hip and lumbar extensors) when it comes to athletic performance. Compared to the quads, the glutes and hamstrings are more powerful muscles with a higher proportion of fast-twitch fibers. Nonetheless, I’m constantly amazed at how many coaches and athletes fail to tap into this strength and power potential; they seem perfectly content with just banging away with quad-dominant squats, all the while reinforcing muscular imbalances at both the knee and hip joints. The muscles of the posterior chain are not only capable of significantly improving an athlete’s performance, but also of decelerating knee and hip flexion. 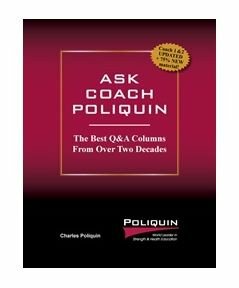 You mustn’t look any further than a coaches’ athletes’ history of hamstring and hip flexor strains, non-contact knee injuries, and chronic lower back pain to recognize that he probably doesn’t appreciate the value of posterior chain training. Or, he may appreciate it, but have no idea how to integrate it optimally. The best remedies for this problem are deadlift variations, Olympic lifts, good mornings, glute-ham raises, reverse hypers, back extensions, and hip-dominant lunges and step-ups. Some quad work is still important, as these muscles aren’t completely “all show and no go,” but considering most athletes are quad-dominant in the first place, you can usually devote at least 75% of your lower body training to the aforementioned exercises (including Olympic lifts and single-leg work, which have appreciable overlap). Regarding the optimal integration of posterior chain work, I’m referring to the fact that many athletes have altered firing patterns within the posterior chain due to lower crossed syndrome. In this scenario, the hip flexors are overactive and therefore reciprocally inhibit the gluteus maximus. Without contribution of the gluteus maximus to hip extension, the hamstrings and lumbar erector spinae muscles must work overtime (synergistic dominance). There is marked anterior tilt of the pelvis and an accentuated lordotic curve at the lumbar spine. Moreover, the rectus abdominus is inhibited by the overactive erector spinae. With the gluteus maximus and rectus abdominus both at a mechanical disadvantage, one cannot optimally posteriorly tilt the pelvis (important to the completion of hip extension), so there is lumbar extension to compensate for a lack of complete hip extension. You can see this quite commonly in those who hit sticking points in their deadlifts at lockout and simply lean back to lock out the weight instead of pushing the hips forward simultaneously. Rather than firing in the order hams-glutes- contralateral erectors-ipsilateral erectors, athletes will simply jump right over the glutes in cases of lower crossed syndrome. Corrective strategies should focus on glute activation, rectus abdominus strengthening, and flexibility work for the hip flexors, hamstrings, and lumbar erector spinae. 3. Lack of Overall Core Development: If you think I’m referring to how many sit-ups an athlete can do, you should give up on the field of performance enhancement and take up Candyland. The “core” essentially consists of the interaction among all the muscles between your shoulders and your knees; if one muscle isn’t doing its job, force cannot be efficiently transferred from the lower to the upper body (and vice versa). In addition to “indirectly” hammering on the core musculature with the traditional compound, multi-joint lifts, it’s ideal to also include specific weighted movements for trunk rotation (e.g. Russian twists, cable woodchops, sledgehammer work), flexion (e.g. pulldown abs, Janda sit-ups, ab wheel/bar rollouts), lateral flexion (e.g. barbell and dumbbell side bends, overhead dumbbell side bends), stabilization (e.g. weighted prone and side bridges, heavy barbell walkouts), and hip flexion (e.g. hanging leg raises, dragon flags). Most athletes have deficiencies in strength and/or flexibility in one or more of these specific realms of core development; these deficiencies lead to compensation further up or down the kinetic chain, inefficient movement, and potentially injury. 4. 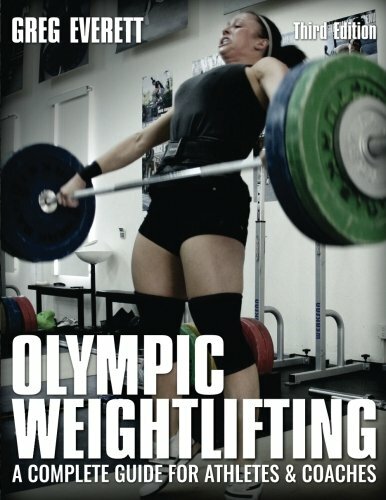 Unilateral Discrepancies: These discrepancies are highly prevalent in sports where athletes are repetitively utilizing musculature on one side but not on the contralateral side; obvious examples include throwing and kicking sports, but you might even be surprised to find these issues in seemingly “symmetrical” sports such as swimming (breathing on one side only) and powerlifting (not varying the pronated/supinated positions when using an alternate grip on deadlifts). Obviously, excessive reliance on a single movement without any attention to the counter-movement is a significant predisposition to strength discrepancies and, in turn, injuries. While it’s not a great idea from an efficiency or motor learning standpoint to attempt to exactly oppose the movement in question (e.g. having a pitcher throw with his non-dominant arm), coaches can make specific programming adjustments based on their knowledge of sport-specific biomechanics. For instance, in the aforementioned baseball pitcher example, one would be wise to implement extra work for the non-throwing arm as well as additional volume on single-leg exercises where the regular plant-leg is the limb doing the excursion (i.e. right-handed pitchers who normally land on their left foot would be lunging onto their right foot). Obviously, these modifications are just the tip of the iceberg, but simply watching the motion and “thinking in reverse” with your programming can do wonders for athletes with unilateral discrepancies. 5. Weak Grip: – Grip strength encompasses pinch, crushing, and supportive grip and, to some extent, wrist strength; each sport will have its own unique gripping demands. It’s important to assess these needs before randomly prescribing grip-specific exercises, as there’s very little overlap among the three types of grip. For instance, as a powerlifter, I have significantly developed my crushing and supportive grip not only for deadlifts, but also for some favorable effects on my squat and bench press. Conversely, I rarely train my pinch grip, as it’s not all that important to the demands on my sport. A strong grip is the key to transferring power from the lower body, core, torso, and limbs to implements such as rackets and hockey sticks, as well as grappling maneuvers and holds in mixed martial arts. The beauty of grip training is that it allows you to improve performance while having a lot of fun; training the grip lends itself nicely to non-traditional, improvisational exercises. Score some raw materials from a Home Depot, construction site, junkyard, or quarry, and you’ve got dozens of exercises with hundreds of variations to improve the three realms of grip strength. Three outstanding resources for grip training information are Mastery of Hand Strength by John Brookfield, Grip Training for Strength and Power Sports by accomplished Strongman John Sullivan, and www.DieselCrew.com. 6. Weak Vastus Medialis Oblique (VMO): The VMO is important not only in contributing to knee extension (specifically, terminal knee extension), but also enhancing stability via its role in preventing excessive lateral tracking of the patella. The vast majority of patellar tracking problems are related to tight iliotibial bands and lateral retinaculum and a weak VMO. While considerable research has been devoted to finding a good “isolation” exercise for the VMO (at the expense of the overactive vastus lateralis), there has been little success on this front. However, anecdotally, many performance enhancement coaches have found that performing squats through a full range of motion will enhance knee stability, potentially through contributions from the VMO related to the position of greater knee flexion and increased involvement of the adductor magnus, a hip extensor (you can read a more detailed analysis from me here. Increased activation of the posterior chain may also be a contributing factor to this reduction in knee pain, as stronger hip musculature can take some of the load off of the knee stabilizers. As such, I make a point of including a significant amount of full range of motion squats and single-leg closed chain exercises (e.g. lunges, step-ups) year-round, and prioritize these movements even more in the early off-season for athletes (e.g. runners, hockey players) who do not get a large amount of knee-flexion in the closed-chain position in their regular sport participation. 7 & 8. Weak Rotator Cuff and/or Scapular Stabilizers: I group these two together simply because they are intimately related in terms of shoulder health and performance. Although each of the four muscles of the rotator cuff contributes to humeral motion, their primary function is stabilization of the humeral head in the glenoid fossa of the scapula during this humeral motion. Ligaments provide the static restraints to excessive movement, while the rotator cuff provides the dynamic restraint. It’s important to note, however, that even if your rotator cuff is completely healthy and functioning optimally, you may experience scapular dyskinesis, shoulder, upper back, and neck problems because of inadequate strength and poor tonus of the muscles that stabilize the scapula. After all, how can the rotator cuff be effective at stabilizing the humeral head when its foundation (the scapula) isn’t stable itself? Therefore, if you’re looking to eliminate weak links at the shoulder girdle, your best bet is to perform both rotator cuff and scapular stabilizer specific work. In my experience, the ideal means of ensuring long-term rotator cuff health is to incorporate two external rotation movements per week to strengthen the infraspinatus and teres minor (and the posterior deltoid, another external rotator that isn’t a part of the rotator cuff). On one movement, the humerus should be abducted (e.g. elbow supported DB external rotations, Cuban presses) and on the other, the humerus should be adducted (e.g. low pulley external rotations, side-lying external rotations). Granted, these movements are quite basic, but they’ll do the job if injury prevention is all you seek. Then again, I like to integrate the movements into more complex schemes (some of which are based on PNF patterns) to keep things interesting and get a little more sport-specific by involving more of the kinetic chain (i.e. leg, hip, and trunk movement). On this front, reverse cable crossovers (single-arm, usually) and dumbbell swings are good choices. Lastly, for some individuals, direct internal rotation training for the subscapularis is warranted, as it’s a commonly injured muscle in bench press fanatics. Over time, the subscapularis will often become dormant – and therefore less effective as a stabilizer of the humeral head – due to all the abuse it takes. For the scapular stabilizers, most individuals fall into the classic anteriorly tilted, winged scapulae posture (hunchback); this is commonly seen with the rounded shoulders that result from having tight internal rotators and weak external rotators. To correct the hunchback look, you need to do extra work for the scapular retractors and depressors; good choices include horizontal pulling variations (especially seated rows) and prone middle and lower trap raises. The serratus anterior is also a very important muscle in facilitating scapular posterior tilt, a must for healthy overhead humeral activity. Supine and standing single-arm dumbbell protractions are good bets for dynamically training this small yet important muscle; scap pushups, scap dips, and scap pullups in which the athlete is instructed to keep the scapulae tight to the rib cage are effective isometric challenges to the serratus anterior. Concurrently, athletes with the classic postural problems should focus on loosening up the levator scapulae, upper traps, pecs, lats, and anterior delts. One must also consider if these postural distortions are compensatory for kinetic chain dysfunction at the lumbar spine, pelvis, or lower extremities. My colleague Mike Robertson and I have written extensively on this topic here. Keep in mind that all of this advice won’t make a bit of difference if you have terrible posture throughout the day, so pay as much attention to what you do outside the weight room as you do to what goes on inside it. 9. Weak Dorsiflexors: It’s extremely common for athletes to perform all their movements with externally rotated feet. This positioning is a means of compensating for a lack of dorsiflexion range of motion – usually due to tight plantarflexors – during closed-chain knee flexion movements. In addition to flexibility initiatives for the calves, one should incorporate specific work for the dorsiflexors; this work may include seated dumbbell dorsiflexions, DARD work, and single-leg standing barbell dorsiflexions. These exercises will improve dynamic postural stability at the ankle joint and reduce the risk of overuse conditions such as shin splints and plantar fasciitis. 10. Weak Neck Musculature: The neck is especially important in contact sports such as football and rugby, where neck strength in all planes is highly valuable in preventing injuries that may result from collisions and violent jerking of the neck. Neck harnesses, manual resistance, and even four-way neck machines are all good bets along these lines, as training the neck can be somewhat awkward. From a postural standpoint, specific work for the neck flexors is an effective means of correcting forward head posture when paired with stretches for the levator scapulae and upper traps as well as specific interventions to reduce postural abnormalities at the scapulae, humeri, and thoracic spine. In this regard, unweighted chin tucks for high reps throughout the day are all that one really needs. This is a small training price to pay when you consider that forward head posture has been linked with chronic headaches. A good coach recognizes that although the goals of improving performance and reducing the risk of injury are always the same, there are always different means to these ends. In my experience, one or more of the aforementioned ten biomechanical weak links is present in almost all athletes you encounter. Identifying biomechanical weak links is an important prerequisite to choosing one’s means to these ends. 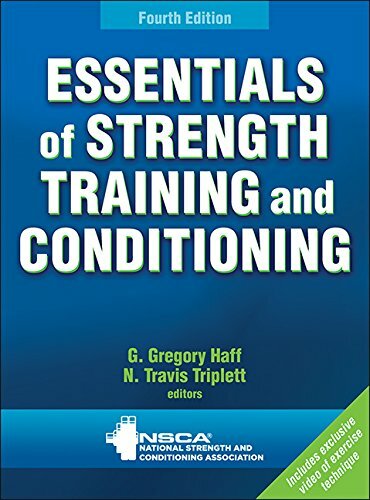 This information warrants consideration alongside neural, hormonal, and metabolic factors as one designs a comprehensive program that is suited to each athlete’s unique needs. The evidence is mounting that a range of exercises are necessary, if athletes want to achieve complete hamstrings development. This new study shows that 4 different exercises produced very different responses in each of the 4 hamstrings muscles and 3 main regions (proximal, middle, and distal) when measured using MRI from pre- to post-exercise. This suggests that both hip extension exercises (e.g. Russian belt deadlift and hip extension conic pulley, as in this study) as well as knee flexion exercises (e.g. Nordic curl and flywheel leg curl, as in this study) are necessary to achieve increases in muscular strength and size of all hamstrings muscles and regions.